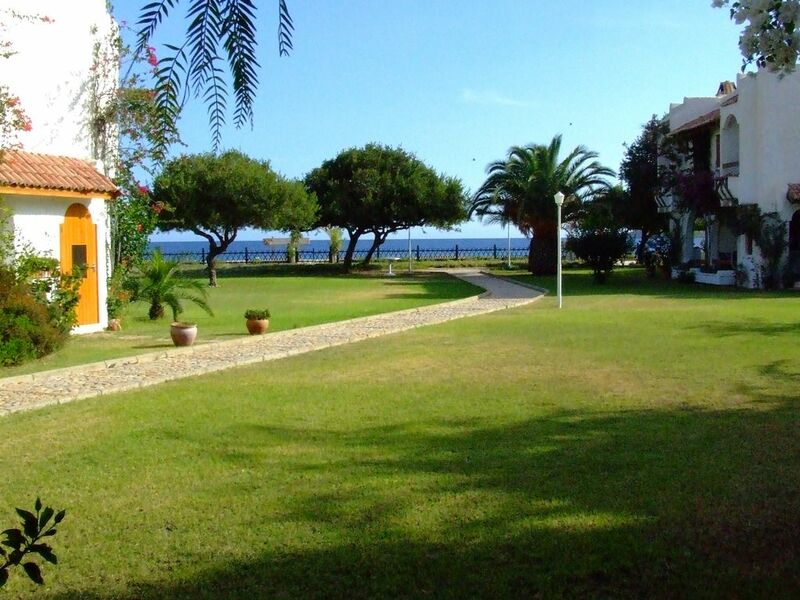 This gem is in a well maintained development directly on the sea, far away from mass tourism. You will live on 2 floors (90 sqm). Ground floor with toilet and washing machine (Miele), fully equipped kitchen with under counter fridge (Miele), freezer, dishwasher, 4 ring stove, combi-oven extractor, deep fryer, large separate fridge. Living room with comfortable corner couch, LCD TV, satellite TV, WiFi, air-conditioning. 2 bedrooms and 1 shower room with toilet upstairs. Bedroom 1 with queen-size bed, bedroom 2 with 2 single beds, which can also be used as queen-size bed, as well as extra pull-out bed. Each bedroom has a balcony. The comfortable, small terrace with BBQ is the perfect place to relax. The holiday house is completely equipped with fly screens. The front garden can also be used. Shopping service carried out by staff of the development available twice per day. Best time to travel in the region: The region is worth visiting the whole year round. Best time to travel in this region are month of April, May, June, July, August, September and October! Washing machine as well as flow heater in guest toilet. Massages as well as private chef on request! Soeben zurück von Palamutbükü. Freundliche Vermieter, freundliche Nachbarn, stilvoll eingerichtetes Haus, nichts fehlt - wer Erholung sucht ud trotzdem auch interessante Ausflüge machen will (Auto nötig) ist hier am richtigen Ort. Wir waren im April 2011 die ersten Mieter des Ferienhauses. Wir wurden liebevoll empfangen,super eingewiesen und auch während unsres Aufenthaltes sehr gut betreut. Das Ferienhaus ist mehr als komplett eingerichtet und sehr sauber,wir haben uns in den 7 Tagen gefühlt wie im Paradies!!! Die Anlage ist sauber und gepflegt und die Nachbarn echt nett,wir werden auf jeden Fall wiederkommen!!! Also wer die Ruhe mag und das türkische Leben liebt ist hier am richtigen Platz. This beautiful holiday house is located on the Datca peninsula- far away from mass tourism- in a small village, beachfront. Quiet location, situated at the most beautiful coast in this area. The small fishing village is situated on the beautiful beach (2.5 km long) with clear water, where small and cosy restaurants take care of their guests. The ancient port town Knidos is 15 km away and is an interesting day trip. The small romantic town of Datca with its scenic natural port is 20 km away and offers comfortable bars and restaurants for its visitors, as well as shopping facilities, farmers' market and boat trips to some of the many bays in the area or to Symi in Greece - there is everything a tourists heart desires. The quaint Marmaris is about 90 km east of the village. The next airport is in Dalaman (180 km). During the summer months also via Bodrum with connecting 1,5 h ferry to Körmen (Datca).